We serve a delicious range of perfectly mixed cocktails at Hart’s, which we take as seriously as we do our food, using the best seasonal ingredients. 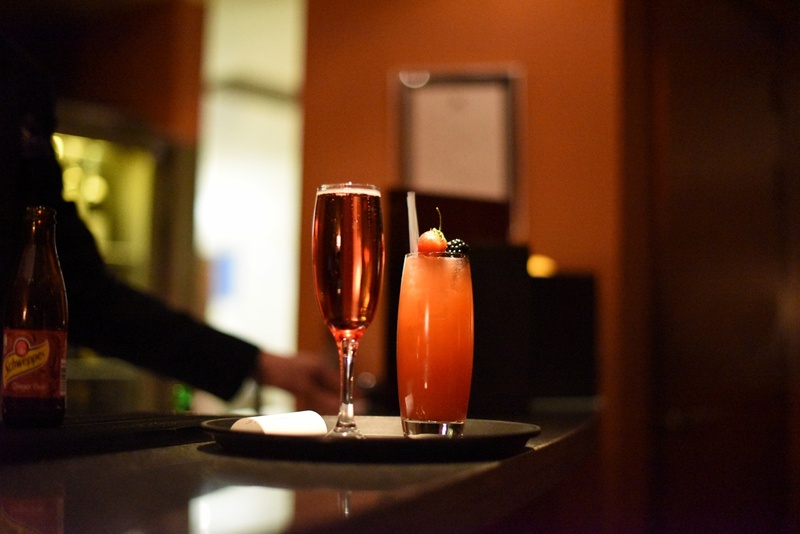 Our cocktail menu consists of Classic cocktails which are the drinks that have stood the test of time as well as our signature cocktails with a Hart’s twist, Champagne, and non-alcoholic cocktails. Our experts have also been busy mixing and shaking to create new cocktails especially for the party season. If you are visiting over the Christmas period, take some time to enjoy one of our favourites in the bar before you dine or explore our extensive cocktail menu. This makes for an impressive Christmas aperitif – Champagne served with a choice of fruity liqueurs and garnished with fresh berries. We doubt you’ll be able to stop at just one with this winter warmer! Plymouth Sloe Gin, Tanqueray Gin, fresh lemon juice and sugar syrup topped with soda water. This timeless Brandy sour is served in a martini glass with a cinnamon rim. Courvoisier V S, Cointreau, sugar and fresh lemon juice with an orange twist. This is the perfect warmer on a chilly day. Blackberry and elderflower Pimms, Courvoisier V S, ginger ale, and seasonal fresh fruits all served over crushed ice and garnished with mint. This is a ‘bitter sweet’ Woodford Reserve based cocktail made with Woodford Reserve, Drambuie, fresh lemon, Angostura bitter and sugar. A very smooth and rich cocktail full of flavour. We like to add a little spice to the occasion with this festive apple cocktail. Sailor Jerry Spiced Rum, fresh lime juice, crushed stem ginger, sugar and topped with Starkey’s Discovery apple juice. This is a gin-based cocktail, using Tanqueray gin, fresh lemon juice, elderflower cordial shaken and topped up with Prosecco. This fantastic rum-based cocktail with fruity flavours, is a delicious combination of Mont Gay Eclipse Rum, Teichenné liquor, rosemary, Angostura bitter, fresh lime juice, Agave syrup and Looza pineapple juice with a touch of salt. Non-alcoholic cocktails can still be packed with festive cheer! Try our fresh berries, cranberry juice and a dash of blackcurrant cordial topped with lemonade and finished with a wedge of lime.